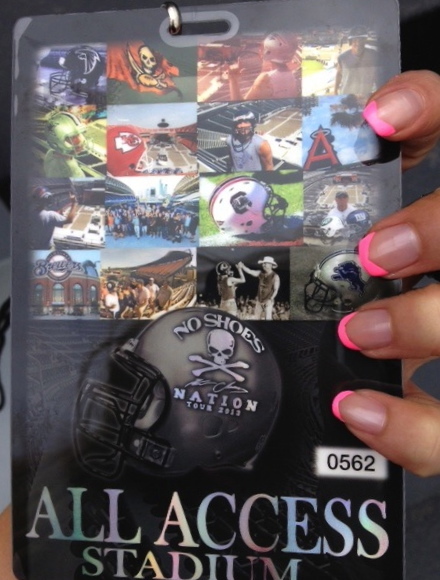 What do you do when you have an all access stadium pass for a Kenny Chesney concert? You paint your nails, of course. I inadvertently trashed my nails while getting all of the tour bus goodies for our weekend company trip to see Mr. Chesney. A perfect mani’s worst nightmare. 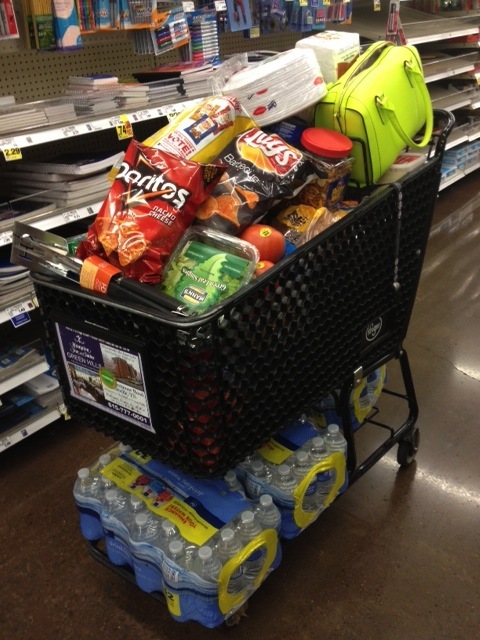 Loading and unloading and reloading a shopping cart. I couldn’t be caught dead with no nail polish, so as I was sauntering about the stadium I found a spot and threw some paint on my fingers. 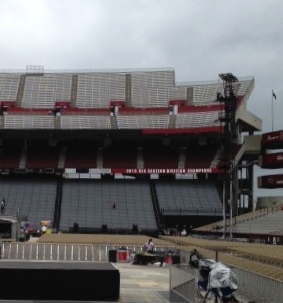 I’m the blob in the middle of the bleachers, performing a pre-concert mani. Because I was in a hurry (I didn’t want to miss out on any of the fun) and this was only a temporary mani, I applied one coat of Seche Vite base coat, then tipped the ends in pink. Seche Vite base coat with China Glaze in Shocking Pink. 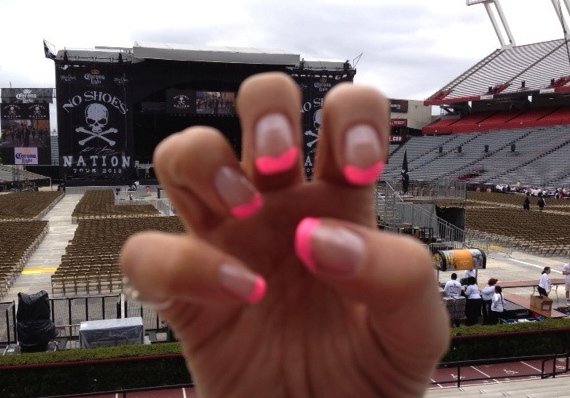 This six-minute paint job did the trick in covering my naked nails, making me appear all access ready. 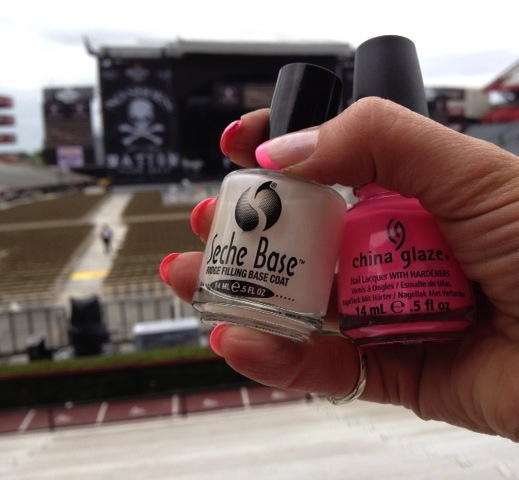 Thank God I always have extra polish with me – I’m sure my bare nails would have had a direct effect on Kenny’s performance.